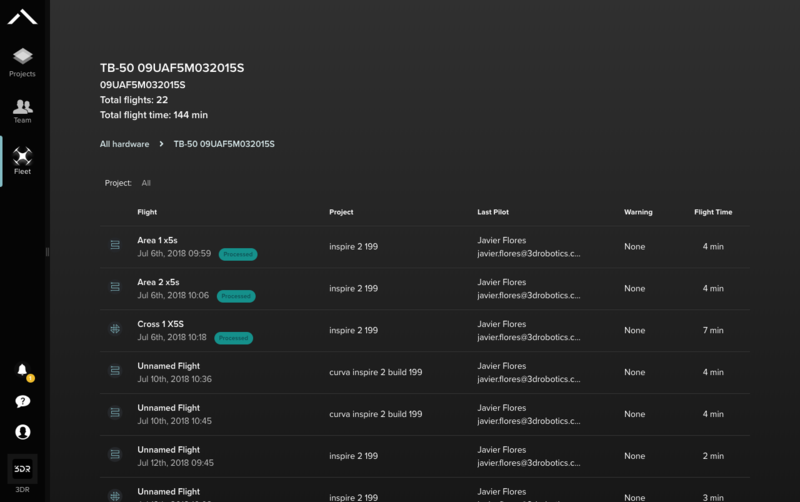 With Site Scan available for nine drones and organizations with dozens of pilots and hundreds of projects we have added fleet management to our enterprise platform. Admins can now track vehicles, batteries, cameras, and pilots in the same product they use for flight planning, flying, processing, analyzing and sharing data. If you upload photos manually from the desktop you must upload to the empty flight of the same name in Site Scan Manager. 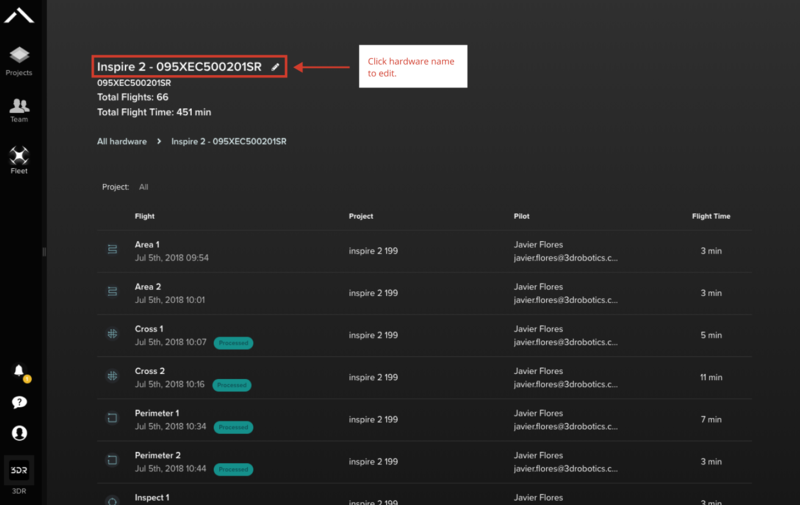 If you create a new flight and upload the photos the fleet management data will not be included. 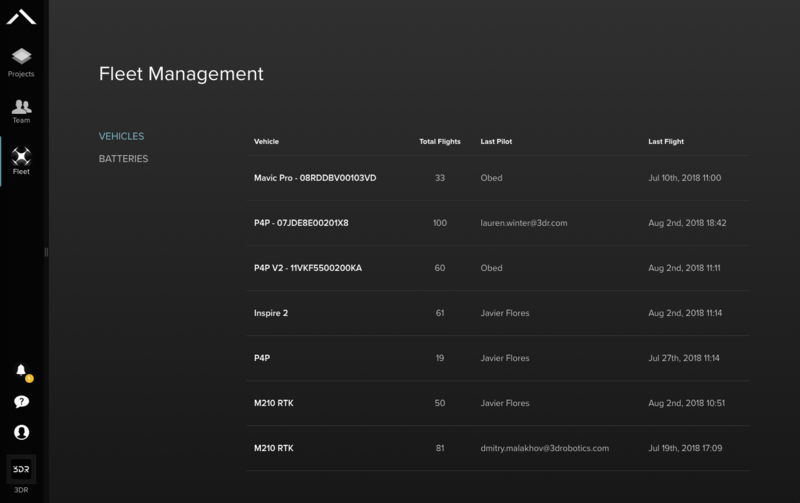 View all the drones and batteries used in your organization. 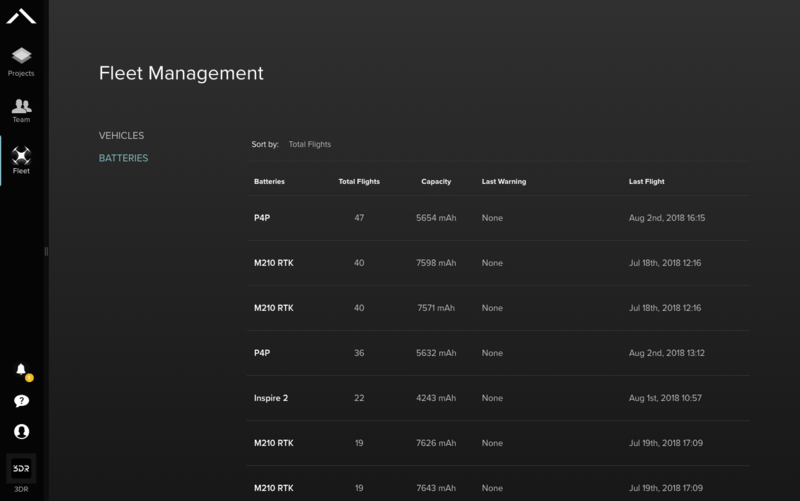 View total flights, total flight time, and a list of all flights for a single drone or battery. Drone and battery names can be edited by clicking their name at the top of the page. Use the flight controller serial number below the name to unlock DJI no-fly zones. The most important indicator of drone of vehicle health is total number of flights. Total flight time is useful but not as good an indicator of a vehicle's age. Total Flight Time is an approximation of Site Scan flight time. Aborted flights and flights completed in other apps are not included. Flight duration is defined by the start and end of a mission, including time time on the ground mid-flight.